Which record label is Harry Styles debut single, Sign Of The Times, signed to? The obvious – and correct – answer is Columbia, the operation formerly helmed by now-Sony Music CEO Rob Stringer. But it turns out the truth is actually a little more nuanced than that. Sign Of The Times is credited on streaming services as ‘Erskine Records Ltd under exclusive license to Columbia Records’. In a not-that-surprising move, Styles has followed the example of fellow pop superstars such as Beyonce and set up his own record company. Erskine is where the rights to Sign Of The Times (and Styles’ forthcoming other solo work) will presumably revert after his Columbia license deal is through. Styles is also a director of companies including HSA Publishing Ltd (founded: 2014) and Rollcall Touring Ltd (founded: 2012). 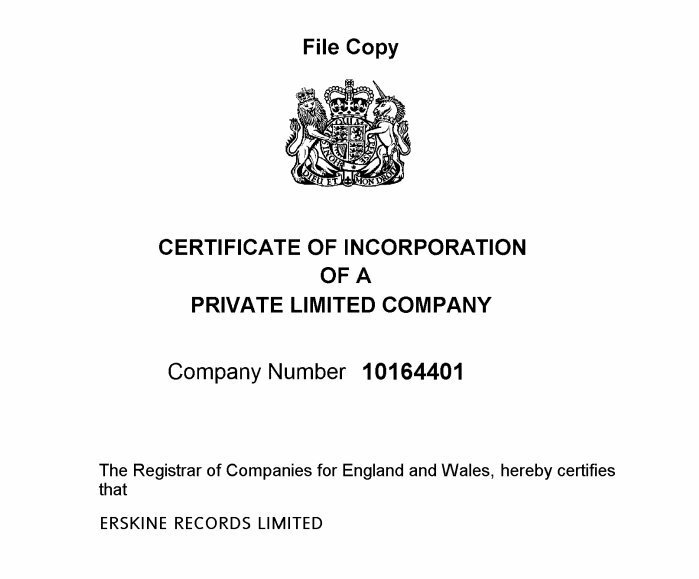 According to Companies House in the UK, Erskine Records was incorporated by Styles in May 2016. In September last year, Emma Spring was appointed as Company Secretary. Sign Of The Times hit No.1 in the UK and US on iTunes after its release on Friday (April 7). According to Spotify chart data, it was streamed 2.165m times on the service on the day of release – but this figure was blighted by technical issues preventing some fans from finding the song in Spotify’s search bar.